Bonsai—the Japanese art of training plants to form elegant sculptures—is an age-old craft that appeals to gardeners and non-gardeners alike. 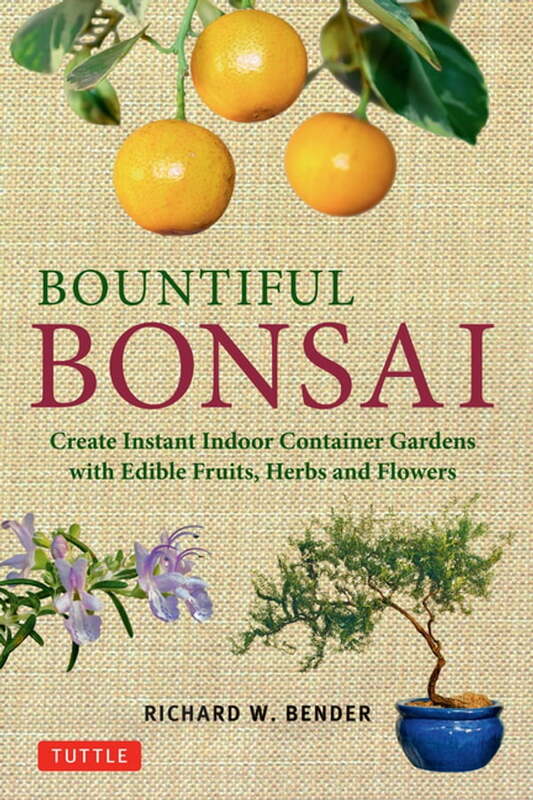 Bountiful Bonsai presents a radical, new approach that applies bonsai techniques to everyday container gardening, instantly turning houseplants and herbs into beautiful and unusual bonsai sculptures! This beautifully illustrated volume provides all the information you need to get started, from plant choice advice to care requirements and bonsai "carving" tips. Suitable for indoor gardening, or shaping exquisite bonsai fruit trees for outside gardens, Bender turns a finicky art into a hobby accessible to all. Bonsai have graced Japanese homes for centuries; now they can yield useful crops that will simultaneously satisfy your artistic sensibility and also provide some wonderful meals!